While on the journey to publication, it can be easy for us to get caught up with sitting at the computer for hours. Some of us may have day jobs where we sit at a desk, only to return home to do the same. Because we’re passionate about what we do, we’re driven to get those words down! But author Serena B. Miller has an important message to share about that very thing. I just finished another deadline. This one was a killer. It was a much harder book to write than usual. Lots of research. I thought I was on track, but the final six weeks of pushing through to the end about the only thing I did was write. 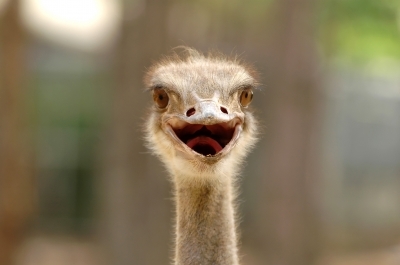 When the manuscript was finished, I didn’t send it to the editor as much as I flung it at her. I’m still in duck-and-cover mode dreading the moment when the edits come back. The day after I sent it in was like being a kid on the first day of summer vacation. I slept in. I laid in bed luxuriating over the fact that the book was finished. I looked out the window and wondered what to do with this glorious, sunny, fall day. Then I went downstairs and made coffee. The taste richer. The air I breathed sweeter. I took my time showering, and dressing. Everything was in slow motion, as though floating on air. I couldn’t stop smiling. The first thing on my to-do list was to take a walk. I have a marvelous place to walk. A country road where there is almost no traffic. I even have a mixed hound to keep me company. She was delirious to see me because I’d barely stuck my nose out the door for weeks except to go to church. She jumped and skittered about and ran toward the road as though to show me where it was and to encourage me in this new venture. Half-way through my walk, reality hit. The low-rising hill was steeper than I remembered. My breathing more labored. I had to walk slower than usual. I turned back long before I would have only two months earlier. I came home, sat on the porch, and dealt with the reality that I had hurt myself writing. I’d allowed my body’s muscles to weaken. While my heroine had done all sorts of difficult and adventurous things, I had sat typing. Here’s the thing: I love my life. I love my family. I love my church and my home and my profession. I especially love it when readers write and tell me that my books have brightened their day and helped them face harsh circumstances. I love it that I being allowed to use my one and only talent to glorify God. But I’m no spring chicken (as my father used to say) and it struck me on my walk how very insidious and sneaky Satan is. While I wasn’t looking, while I was busy being obedient to God and writing my stories, Satan began to steal my health away from me. And so….I’ve gotten my timer back out and am doing the 45 minutes of writing and 15 minutes of moving around every hour on the hour routine again. It’s a brilliant routine (that another writer taught me) when I pay attention and actually do it. Vacuuming, dusting, straightening the house, bowflex time, walking the dog. Nothing fancy. Just moving my body. Fifteen minutes at a time. I kept saying that this particular deadline was a killer. I didn’t realize I had unconsciously meant it literally. Be careful out there, writers. Remember to move around. Serena B. Miller’s first book, Love Finds You In Sugarcreek, Ohio, was a finalist in the Inspirational Reader’s Choice awards. 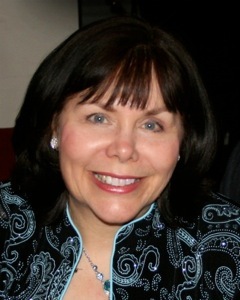 Her second, The Measure Of Katie Calloway, won the coveted 2012 RITA award for inspirational romance. 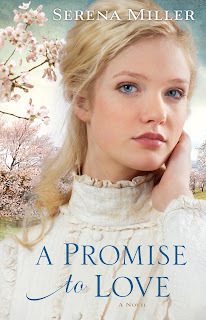 Her present book, A Promise To Love, is a historical loosely based on her grandmother’s marriage of convenience. Serena lives in southern Ohio surrounded by woods, good friends, her family, and her rescued hound-mix. She also helps her husband in his full-time ministry—when she doesn’t have a deadline looming. Over the years I have received many blessings on my writing journey. God has used the process of learning to write fiction and working toward publication to help me grow in my faith and become a stronger person, and that has helped me in other areas of my life. I remember when I first started writing I was very hesitant to speak up and call myself a writer. Just saying it aloud seemed audacious. Who was I to claim to be a writer when all I had was some very rough skills and a dream of someday being published? But over the years He has helped me develop my skills and increase my confidence and trust in Him. I have been blessed to see ten books published and more contracted. I’ve learned to see my writing as a gift from God that I can develop and use to bless and encourage others. Getting to know other writers and those in the publishing industry has also been a wonderful blessing. This past September I attended the American Christian Fiction Writers’ Conference for the eleventh time. Each year as I reunite with many dear ACFW friends my heart is warmed by their accounts of how God has been working in their lives and through their writing. We writers usually work alone, and those few days together are so exciting and inspiring. Their thoughtful advice, words of encouragement, and heartfelt prayers are such a gift. I treasure those times! 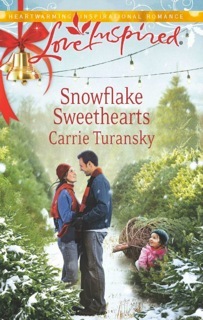 I feel blessed to have a new book out this month, Snowflake Sweethearts. And I’m also thankful to have a new contract with Waterbook Multnomah. I will be writing a three-book historical romance series set in England in the Edwardian period, 1910 – 1919. It’s been my heart’s desire for several years to write longer historical novels, so I am very grateful and excited! The first book, The Governess of Highland Hall, will release in the fall of 2013. How about you? As you look back over this past year what is one special blessing you’ve enjoyed on your journey? Annie Romano, a warm and caring personal chef with a history of heartbreak, returns to her hometown to raise her young daughter, Emma. She hopes to start her own business and give her daughter the happy childhood she never had. Then Alex Jameson, the man she secretly admired in high school, hires her to cook for his ailing grandmother, and their friendship begins to blossoms into romance. But when Alex is offered a new job that would take him away from Fairhaven, Annie's old fears of abandonment resurface and threaten their relationship. Trouble is brewing in Fairhaven for Annie and Alex. Carrie Turansky lives in New Jersey with her husband Scott. They have been married for over thirty years and have five young adult children and three grandchildren. Carrie leads women's ministry at their church and teaches Bible studies. She also enjoys reading, gardening, and walking around the lake near their home. Carrie and her family spent time in Kenya as missionaries, giving them a passion for what God is doing around the world. Ask O: Are "To-Be" Verbs Really So Bad? Oh man! Yes, my friends, they are. I’ve encountered this kill-your-to-be-verbs rule since I first started writing fourteen years ago, yet, I still spot the little buggers all over the place: in my editing, when reading a book, even in my own writing…gasp! It’s so easy for the sly weasels to stink up a perfectly lovely sentence (sometimes disguised as a contraction). So, to renew the battle against them, let’s remind ourselves the evil caused by to-be verbs. First, a reminder. A to-be verb is any derivative of the verb to be. (You always knew I was brilliant.) Am, is, are, was, were, be, being, been. There is no reason why she should be so snooty. I don’t know if I’ve ever written a worse sentence. Do you see how the to-be verbs complicate a simple thought? Just cutting most of them trims the sentence by almost half. Why must she be so snooty? The grizzly is chasing the salmon down the stream that is winding through the woods. Especially in a more complicated sentence (one fraught with such goodies as dependent clauses or prepositional phrases), to-be verbs only add confusion. The grizzly chases the salmon down the winding stream. Margaret was sad because Jim said he was going to break up with her. Ugh! The evil to-be verbs sucked the emotion right out of that sentence. It says she’s sad, but we don’t feel her devastation one bit. To-be verbs are the enemies of emotion. Tears had dampened Margaret’s cheeks before her mind registered—much less accepted—Jim’s words. He wanted to … what? But she wore his ring. She’d asked her best friend to stand up with her. She’d even asked her sister. She longed to deny it, but the ache in her chest—and the clear gaze from Jim’s blue eyes—told her he meant his words. I got a little carried away, but it points out something I’ve found. To-be verbs tend to lead to short-cut writing. They lead to “telling” instead of “showing.” I don’t know how many times I’ve gone through a manuscript looking to search and destroy to-be verbs and ended up not just finding adequate replacements, but delving deeper into a character’s emotion or expounding on a plot point. The tree was tall and had orange leaves. The swing that hung from its branch was worn from years of use. Looking at it, Elise was pensive, remembering her childhood. Bland ickyness oozes from those nasty little words. Imagine replacing the was-es in that paragraph with worthy verbs. The tree loomed from its high post, draping its orange leaves like a protective canopy over the squeaky swing. Eyeing it, Elise bowed her head as a memorial to her childhood and her one joyful escape from the sadness inside. Now we’re talking. And again, just intentionally working to replace the to-be verbs got my creative juices flowing. I wonder about this Elise. Did she overcome her childhood? A good rule of thumb: No more than two to-be verbs per page. I admit, sometimes they can’t be avoided. But if possible, slash those puppies! What problems do you see with to-be verbs and how do you overcome them? I’d love to hear. And don’t forget, I love answering your questions. Feel free to post them in the comments or at o@ocieanna.com. So many people say that writing is therapeutic. For years I worked a full-time job and managed a schedule of writing in my spare time, as well as being a mother to a special needs child and a wife. I agree that writing is therapeutic, but this past year, I have been tested on that concept. Back then even though my schedule was quite hectic, I still had no deadlines or pressure to promote book sales. In spite of the fact that I longed for publication and worked hard to make it happen, a tiny piece of me feared the day it would happen. You see, I knew my responsibilities would grow, and I was right. 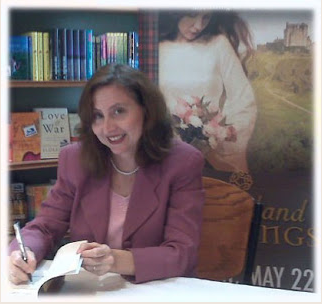 For my debut novel, Highland Blessings, my book launch went well. I received favorable reviews, had several book signings, and it won the 2011 Holt Medallion Award for Best First Book. Still, I didn’t have many deadlines since the book was already written when we contracted it. The only deadlines I really needed to worry about were the macro edits and copy edits. A year later my second book, Highland Sanctuary, was set to release. When I signed the contract, only the first three chapters were written. A few months before my book launch, my father-in-law’s health began to decline. He was dying of lung cancer. At about the same time, we learned that my mother had a very aggressive breast cancer. While Hospice came in to help my mother-in-law, my mother was going through surgery and a month later began radiation treatments. Two weeks before my book released, my father-in-law passed away. Our family was grieving, and I still worried for my mother. By this time, I had signed contracts for four more books and two novellas. I ended up missing a conference where I was scheduled to speak and a major book signing where I had done well the year before. I got behind on blogging, emails, social media posts, and campaign mail outs. Four weeks after my father-in-law passed, I became very sick. A month later my daughter was hospitalized at fourteen for severe migraines. Six months later, she began having Tonic-Clonic seizures. We began a long series of MRI and EEG testing, and medication trials and adjustments. She could no longer be alone and we began fighting the school system to make sure she received necessary resources for her safety. Through all of this, I had to keep working my full-time job and writing to meet my deadlines. When you sign a contract for an unfinished book, you are signing your name in faith that you will be able to meet your obligations, regardless of the circumstances that might befall you and your family. In a regular job, you might have someone cross-trained to back you up when you are out to keep your company from getting behind, but an author doesn’t have that luxury. I don’t have answers that will work for everyone, and at times, I don’t know how I did it. All I know is that prayer and faith gave me strength when I had none. When worry wanted to consume me, God prevailed and I was able to find a few moments here and there when my characters took me to another place in time. I mentally escaped. When I couldn’t sleep, I wrote. When I couldn’t concentrate, I put on earphones and lost myself in music that helped me escape to my time period. When I was too tired to write, I slept, and ignored the guilt. When my house became too suffocating, I went outside and wrote. When my desk became the wrong place, I changed my environment by writing in the closet in the wee morning hours, on the steps, and wherever I could find a corner. I didn’t worry about edits, writing with perfect research, or getting it perfect. I merely wrote and concentrated on getting the first draft down. When the pain and confusion was too much, I prayed and cried out to God. Remember, God is THE answer to everything—even writing through tragedies. 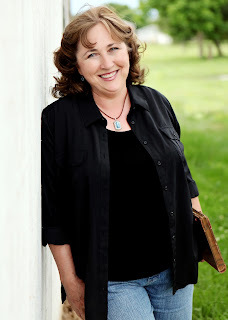 Jennifer Hudson Taylor is an award winning multi-published author of historical Christian fiction set in Europe and the Carolinas and a speaker on topics of faith, writing and publishing. Her debut novel, Highland Blessings, won the 2011 Holt Medallion award for Best First Book. Her work has appeared in national publications, such as Guideposts, Heritage Quest Magazine, Romantic Times Book Reviews, and The Military Trader. She serves as the in-house Publicist at Hartline Literary Agency. Jennifer graduated from Elon University with a B.A. in Journalism. When she isn't writing, she enjoys spending time with family, long walks, traveling, touring historical sites, hanging out at bookstores with coffee shops, genealogy, and reading. Jennifer's fiction is represented by Literary Agent, Terry Burns with Hartline Literary Agency. As they begin their perilous journey, they hope and pray that their path is one of promise where love sustains them, courage builds faith, and forgiveness leads to freedom.